One of the major concerns with this years budget is the growing gap between government expenditure and income. A budget deficit arises when state expenditure exceeds income. A large budget pushes the government to borrow money to fund normal activities and undermines the ability of the state to finance its activities. In this year concerns centre largely about the need for the state to continue supporting the poor and fund tertiary education etc. while propping up state-owned entities like Eskom, SABC, Sanral and SAA. The state needs significantly more revenue to support these organisations while paying social grants, its own wage bill etc.Usually the additional revenue can be raised by new/higher taxes. However additional taxes hinder economic and the need to stimulate the economy limits the scope for tax increases. These factors have resulted in an ever growing budget deficit. 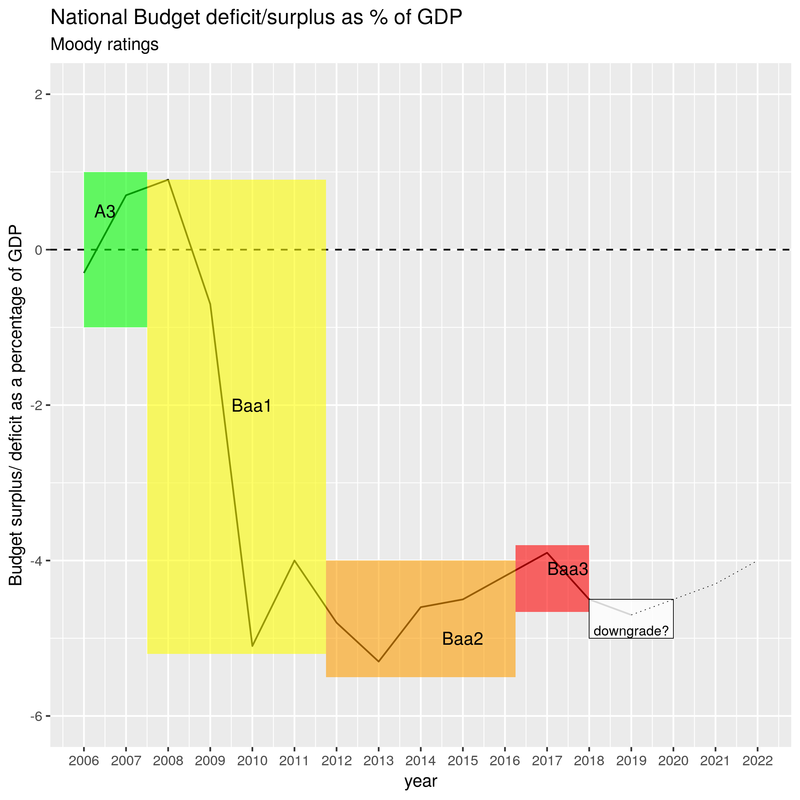 In 2008 there was a budget surplus amounting to almost one percent of GDP. Since then the situation has deteriorated to one in which there is now a deficit that amounts to more than 4 percent of GDP. As the surplus turned into an ever growing deficit South Africa’s sovereign credit rating deteriorated. 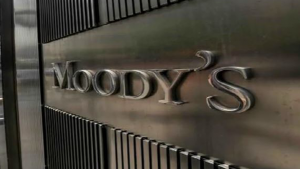 In 2008 South Africa enjoyed a healthy ‘A3’ rating from Moody Rating Agency. That rating dropped to the current Baa3 – the rating only slightly higher than non-investment grade or ‘junk’. Economists fear that a deficit increasing to 5% of GDP would ensure further downgrades. A downgrade would, inter alia, boost borrowing costs and divert revenue away from services (and bailouts) towards loan repayments. Although the budget deficit is growing Minister Mboweni has managed to keep the deficit to 4.7 percent of GDP. As this is above 5% threshold he has possibly avoiding a credit downgrade. Mboweni projects that the budget deficit will grow smaller after this financial year. Hopefully we can then look forward to a better credit rating and thus improved access to capital and investment. The post Dodging the bullet on a credit rating downgrade appeared first on SABC News – Breaking news, special reports, world, business, sport coverage of all South African current events. Africa's news leader..